This map is a blast. The numerous connections make for a fluid, dynamic game that can change in the blink of an eye. You might consider additional links from the northern and southern islands to the mainland. With only two connecting territories each, players can turtle there fairly effectively. One note - The connection is broken between North Western Air Temple Mountains and East Western Air Temple Mountains. Review by HolyMonarchy on 9/25/2013. Seems a bit unbalanced if you start out in fire or air. Fun small map good for playing 1 vs 1.
Review by Pepé the Perverted Penguin on 9/24/2013. One of the best maps I've played. Review by lieven on 12/8/2013. Review by Zero0156 on 10/19/2013. Wonderful map. Challenging. Loved it! Review by Baitmenot on 12/2/2013. A good map. It seems accurate to Avatar, so I'm pleased. Has a spacious feel to it. Review by Julian Singkham on 11/24/2013. A really fun and easy map. It looks 100% accurate to the real map. Review by Cale017 on 1/11/2014. avatar the last airbender map is creative. Review by Dappernaut on 9/27/2014. 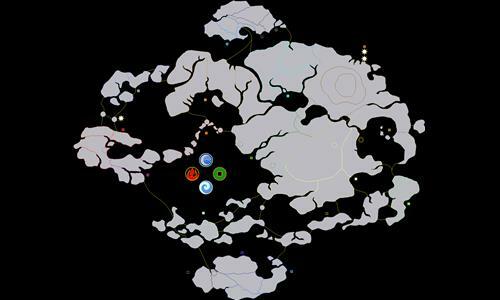 If you've watched Avatar and you're playing it because of that, this map is a 5/5. If you're looking for a balanced map, this is a 4/5. Review by jss10f92 on 4/11/2015. The initial dispersal is too wide spread and the AI have no idea where to focus on. So the player ends up with 30-9-9-12 reinforcement spread by about 5 turns, making the game a slow slaughter across the world. Perhaps forcing a team match of 2 players being earth and air vs. fire and water? Review by Genghis Khan on 9/11/2013. Review by David Rader on 9/20/2013. Review by GAHR on 6/1/2014. Great map and amazing idea, but the water nation bonuses are way too overpowered. Review by zdctheoverlord59 on 8/5/2014. Review by Tood33 on 9/20/2014. Review by Androkguz on 9/24/2014. I like this map and how you have balanced the nations. My only complain is that the internal territories like Omashu are really annoying. But then... they add something to the mix. Review by Zelthrox Night on 9/25/2014. This is a really fun map! I watch a little Avatar first to get pumped haha. It'd be nice to see one with more divisions for more complex gameplay. Review by steven1066 on 10/1/2014. Review by Jazz on 10/11/2014. Review by Comrade Mario on 10/21/2014. Review by Michael Barabé on 11/14/2014. Review by wongie on 5/21/2015. Review by A Large Kitten on 6/15/2015. The size of the numbers makes it so you have to zoom in and out which is really unpleasant. Review by Nbentley on 7/26/2015. Review by Justin Bolles on 8/21/2015. Review by Ian Feenan on 9/16/2015. Review by AOG_THEBUL53 on 9/21/2015. Review by North God on 9/21/2015. Review by Charles Rowe on 10/14/2015. Review by Isaac on 10/30/2015. I really enjoy how the map was constructed from the water tribes to the air temples. However one thing I found unnecessary was how in the Earth kingdom and Fire nation there were territories that had negatives on them. It isn't a big displeasure, but it can make the map even better than it already is. Review by eggman2k15 on 11/6/2015. Review by Morgan Barnes on 11/6/2015. Review by Addison on 11/10/2015. Review by Hazel420 on 1/18/2018. Review by vyyres on 2/24/2018.